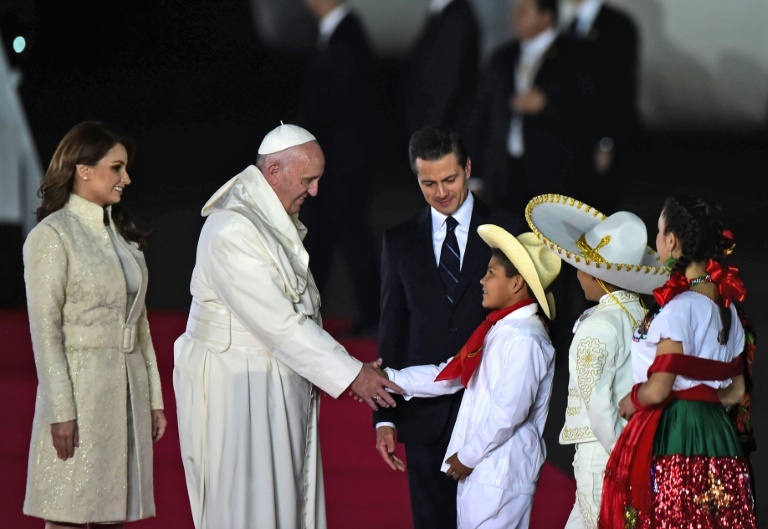 You are here: Home » Opinions » The Pope Visits Mexico: A Model for the Chinese in Tibet? The Pope Visits Mexico: A Model for the Chinese in Tibet? In the background of the Pope’s recent visit to Mexico and the wider global historical experiences, Diane Wolff* asks, given China’s perception of free practice of Buddhism and its top leader, the Dalai Lama, as the biggest threats to its rule in Tibet, whether Beijing’s paranoia is entirely misplaced, viewing a potential partner for peace and progress as an enemy. There in Mayan traditional costumes were hundreds of the faithful. On the platform where the mass was to be held, women came to the podium, in indigenous costume, and spoke to the Pope in indigenous languages. It was quite amazing and it made me think of Tibet. There the indigenous people, the Tibetans, have been outnumbered by the in-migration of Han Chinese and the Chinese language has replaced the Tibetan language as the official language. History repeats itself on the other side of the world, in Asia.I could not help but think: How remarkable a model the Pope’s visit to Mexico would be for the restoration of Buddhism in Tibet. This amazing Mass of the Indigenous took place in the oldest diocese in Mexico, where the Church was founded in 1539. We know from history what took place in the Americas when the Spanish came and conquered the indigenous peoples. The Spanish priests stamped out the indigenous religions and some of their more extreme practices, such as human sacrifice. I would be lying if I said that the New World was a paradise without horrors. We know that the ancient books of the indigenous were destroyed and the temples were destroyed. All this made me think of a similar history in Tibet, when the Chinese came in 1950. It also made me think of the Cultural Revolution in Tibet, a period that lasted from the mid-sixties to the mid-seventies. We know that the Spanish thought that their culture was superior to that of the indigenous peoples, and that the Spanish were bringing the benefits of civilization to those that dwelled in the supposed backwardness and darkness of their own culture, but backwardness is in the eye of the beholder. For example, the deacons in the indigenous church are often married with children, and the people pay them respect because they have more respect for married men than they do for celibate priests. Perhaps nowhere else on earth has the old tradition of celibate priests been challenged in the Catholic faith. We know that the Church dominated the Americas for five centuries. We know that to eliminate the worst excesses of the Church, the revolutionaries of Latin America tacked left, to communism. We know that in the Americas, often the left is as bad as the right. We know that communism brought mixed benefits, and in many cases, abuses, such as in the Cuban prison system with its repression of those who spoke against the regime. We know about this because the great filmmaker Nestor Almendros documented it in his film “Nadie Escuchaba,” Nobody Was Listening. Get it on Amazon . I recommend it. We know that the Chinese Communists considered Tibetan Buddhism to be an obstacle to material advancement in Tibet. We know that they destroyed monasteries and libraries and works of art, because we know the history of the Cultural Revolution and the destruction of the Four Olds. It cannot be denied that the Chinese have delivered the benefits of modernization to Tibet. As with development elsewhere in China, some of the modernization is good and some of it is not so good. There are costs, as always, to the environment. There are costs to the cultural atmosphere. Some people make it in the new system and some do not. We have seen enough of communist models in Europe and in Latin America to have a handle on the experience. It is no longer an unknown quantity. And yet despite the advocacy of the material philosophy of Marxism and the idea of class as the source of error in ethnicity, the practice of the religion persist. The world could see what the Cubans did to political prisoners, but the world does not see, except in limited doses, what the gulag, the laogai, the prison system does to monks and nuns in Tibet. We know about the rise in immolations of the monks and nuns. We know that the Chinese have a fear of splitting apart and claim that the Dalai Lama is a splittist. But the Dalai Lama wants to repatriate to Tibet and live in a monastery as a private religious person and perhaps a teacher. I wonder what it would be like if the Dalai Lama, like the Pope, rode in a lama-mobile in the streets of Lhasa and the Faithful were allowed to come and greet him and receive his blessings. I wonder what it would be like if the Dalai Lama were kissing babies in front of the Potala. As I have said before, even Mao Zedong thought that the Dalai Lama was necessary for the peaceful resolution of the Tibet Question. And so I pose the question: if the return of the Russian Orthodox Church has not been a threat to the Russian state, when once it was banned under the Soviet Union, would the permission for the practice of the Tibetan religion pose a threat to the PRC? It is true that Tibetans may return to the practice of their religion. The minute the Soviet Union fell, after seventy years of communism, the old babushkas returned to the churches with onion domes to practice the Orthodox form of Christianity. But this has not led to separatism. Catholics attempt to practice their religion in Cuba. The Pope even went to the Communist island of Cuba last year, before the resumption of normal diplomatic relations with the United States and he met with Catholics in Cuba. He was, of course, criticized for not meeting with Catholics, but they came to see him anyway. The attempt to revive religion has not led to a call for revolution. Can one culture wipe out another culture’s traditions, even if the Wiping Out culture believes its traditions to be superior? That is the question. My friend, the scholar Warren W. Smith, author of the work Tibet’s Last Stand: The Tibetan Uprising of 2008 and the Chinese Response. Warren Smith says that the Chinese are quite happy with the situation in Tibet. They see it as territory, not as a people with a culture and a religion, and so they miss the point of the people’s suffering. But I read the reports coming out of the Tibetan areas of the Chinese western provinces that have significant Tibetan populations, and I wonder if the Chinese can be happy with the increased security measure, the increased repression, the increased punishment. When I interviewed Warren last September in his office in Washington, D. C., he told me that he thought Tibet was a done deal. Nothing was going to change. It was over for Tibetan Buddhism, a system of thought unique in the world. But two items of interest in the news changed my mind. Mongolia once was the homeland of the Mongol Empire. Then it became part of the Chinese empire. Eventually Outer Mongolia fell under the umbrella of the Soviet state. I began reading the articles about the country of Mongolia, where Buddhism was repressed under the Soviet system, but was making a comeback in the context of the new Mongolian state. True, there were problems with trade relations between Russia, China and Mongolia, but nothing compared to what the state endured previously. Why not Tibet as the leader of the old patterns of trade in the South Asian continent? Why not Tibet as a regional player with a more developed economy? Then I saw the Pope in Mexico and it caused me to speculate. I have previously written of the Loose Reins model of Chinggis Khan, who first brought Tibet into the Mongol Empire. The Supreme Khan left religion and trade to the locals as long as they paid their tribute and performed service in the military and in other forms of command labor. No one can cause history to conform to modern standards of fairness, but history provides us with a clue to what courses of behavior are likely to produce the best results and which of those are not. It is a laboratory of the possible and a proving ground for the impossible. As the scholar Simon Schama says, “History matters.” It is true that there are stumbling blocks to a peaceful resolution of the repatriation of the Dalai Lama, but surely these are negotiable. Why, for example, would it be so difficult to say that Tibet has sometimes been part of the Chinese empire and sometimes not? Why is the old theory of the five races of China so necessary a part of nationalism? Which are the larger questions? The history of Latin America in terms of its colonial experience is far worse than the experience of China and its Century of Humiliation, beginning with the Opium Wars in the mid-nineteenth century. In fact, one must recognize the Chinese fear of splitting apart as being at the root of the Tibet question. If one examines the history, one sees that the problem of China splitting apart often came as a result of Asians such as the Mongols during the medieval period and the Japanese at the time of World War II. Certainly the Russians were a threat during the late nineteenth through the twentieth centuries. Chinese politics themselves delivered blows of disunity, among them the fall of dynasties and the vast trauma of the Taiping Rebellion that is said to have claimed fifty million lives. Is the Chinese fear a projected fear? Is it grounded in Tibetan reality? Yes, I know that some Tibetan rebels were encouraged to cast off the Chinese yoke by the CIA and that they trained and formed a revolutionary party in Mustang. I know all about it. The Dalai Lama has stated that he does not wish violence to be committed by Tibetans in his name. This is a source of consternation among many young Tibetan males. It is a source of frustration. A source of manhood denied. This is understandable, but realistically speaking, no Tibetan uprising has a chance against the People’s Liberation Army or the security apparatus. There is no question of the superiority of force. Mexico has a tragic colonial past. The indigenous suffered at the hand of the colonials for many centuries. The province where the papal mass took place is the poorest in Mexico. The inclusion of the indigenous has not been a threat to the state in Mexico, because the biggest threat to the state is the drug trade. There are threats to the Chinese state in South Asia. The drug trade, the weapons trade, the export of jihad, the hot wars. There are natural disasters. The Chinese believe that the repatriation of the Dalai Lama would lead to splittism, but if the Dalai Lama wishes to repatriate, would that not be an impetus to a peaceful resolution. Would not the decriminalization of religion, amnesty for monks and nuns in prison for religious violation, mean a new moment in Chinese history in Tibet. True, there are many secular Tibetans now, but the practice of religion should neither be prohibited or commanded. This truly is an error. Individual conscience cannot be ordered by The State. It has not worked in the laboratories of history. The command of ISIS for the practice of medieval Islam is a perfect example. The Prophet himself says that religion cannot be coerced. If the Mongolian state is working on trade relations with Russia and China, is this also not a model for Tibet, along with the locals healing the environment, and a diversification of the Tibetan economy. HOw could the Dalai Lama be advocating splittism if he were in residence in a Tibetan monastery? He has already said that he does not wish to have a role in political life. The image of the Pope in Mexico speaking to the indigenous peoples in an expression of compassion continues to move me. I wonder if perhaps Xi Jinping might learn something from the image of the Pope, riding his pope-mobile through the streets of one of Mexico’s poorest provinces and greeting the people and listening to them speak about the realities of their lives. It is not popular to speculate on matters of comparative history and comparative religion, particularly in this instance, one of the thorniest problems for the Chinese leadership. China has invested billions of yuan in improving the standard of life for Tibet. This has to be acknowledged. Yet there is resentment. There is suffering. Feelings run high on all sides. And so it seems that analysis is an antidote for pain. The teachings may be thought of as independent from the institutions. The institutions may be thought of as academies, in the tradition of the great Indian universities of the past, centers of learning conferring advanced degrees in addition to being monasteries. What Buddhism teaches is an investigation of the habits of mind that block progress. This is a valuable lesson that speaks to all humanity. It is the nature of the human mind itself. Science in the West has sought to learn from this tradition at least since the translations of the vast literature began to make its way into general circulation in the middle of the twentieth century. The planet needs healing. Any observer of the news can see that. Healing begins in the mind. 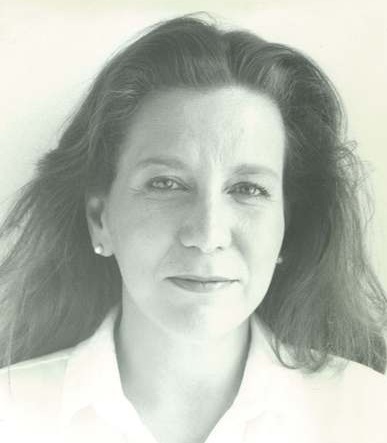 Diane Wolff is the author of three books on Chinese history and culture. Her book on Chinese calligraphy for young readers with illustrations from the collection of the Chinese modern painting master C. C. Wang won an award in the year of its publication. It will soon be available for students for free download on her website. She has engaged as a member of a Cultural Delegation to the PRC in the Sister City Program from San Francisco, working on cultural exchange in the fields of music, painting and dance. Her forthcoming book is The Mortal Wound: Why the Mongol Khans Destroyed the Caliphate. Excellent summation and postulate for peace. If only we could recognize the lessons of history but elitist politics seem always to be reactionary as was the colonization of LatAm. Sad to see the culture disappear, whether good or bad, that had been extant for thousands of years.